West Haven City Hall is located at 355 Main Street, West Haven, CT 06516; phone: 203-937-3535. Photo: Thomas Painter House (ca. 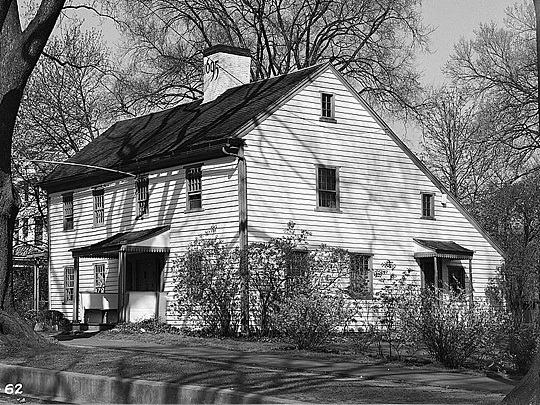 1695), 255 Main Street, Historic American Buildings Survey [HABS CONN,5-HAVW,2-1]. Everett H. Keeler, photographer, 1938. memory.loc.gov, accessed December, 2010. West Haven, originally a part of New Haven and later of Orange, was incorporated as a town in 1921. A parish had been organized in 1715, and the first settlement goes back to 1648. The town is a suburb of New Haven with summer colonies and resorts along the shore.